The expansion of artificial intelligence (AI), cancer immunotherapy and RNA-based gene therapies are a few of the medical innovations that are expected to become more common in 2019. Physicians and researchers at the Cleveland Clinic have noted that the field of healthcare is in a constant state of change. These breakthroughs will significantly transform the medical field and improve care for numerous patients. Here are five of the healthcare innovations that are expected to have a growing impact in the future. These healthcare innovations and trends are part of a larger list that was presented by the Cleveland Clinic at the 16th annual 2018 Medical Innovation Summit. Alternative therapies for pain management. The expansion of AI in healthcare. Improvements in immunotherapy for cancer treatment. The push to find alternative therapies for pain management is ongoing. In the field of pain psychology, there are successful studies that demonstrate that virtual reality holds real promise as an alternative to drug-based pain management. Approaches to pain management that are less reliant on medication are welcomed by many cities and states that are still combating the effects of the opioid crisis. The treatment of chronic pain was a major contributing factor in the growth of opioid addiction in many communities. 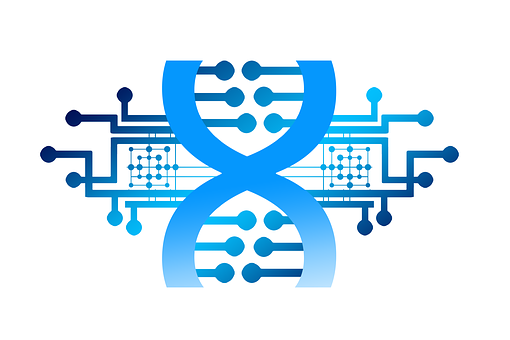 There is now the possibility that pharmacogenomic testing will provide healthcare professionals with more helpful information about their patients. In particular, pharmacogenomic testing provides information about how an individual’s body metabolizes specific medications. Armed with this information, healthcare providers could avoid using medications that create adverse reactions in their patients. Harmful and ineffective drugs would not be prescribed, with more effective medications used instead. The promise of pharmacogenomics is that physicians could customize a prescription to their patient’s unique genetic profile. Medical providers would no longer follow the one size fits all approach for medication. Instead, prescriptions would follow a precise, tailored or best-fit approach. The speculation and growing presence of artificial intelligence is not a new topic in the healthcare industry. However, artificial intelligence is increasingly becoming an essential part of the healthcare world. The new technology is extremely helpful for image analysis, patient triage and decision support. AI-based applications greatly increase the efficiency and accuracy of a healthcare provider. In addition, certain routine tasks are automated which helps to reduce doctor fatigue and burnout. Machine learning algorithms have the promise of reducing clinical variations and unnecessary exams. The benefits that a well-designed AI algorithm can provide to the medical workflow is quite astonishing. Recent articles in The American Journal of Surgical Pathology showed that an AI algorithm improved diagnostic accuracy for participating physicians by a factor of two. At the same time, these AI algorithms improve the healthcare provider’s ability to detect and properly interpret the various streams of data in a patient’s electronic health records. When artificial intelligence is properly integrated into the delivery of healthcare, the overall quality of care improves. Cancer immunotherapy is a rapidly growing field of medical research. The goal of immunotherapy is to make a person’s immune system fight cancer. As a cancer treatment, this type of therapy is also known as biological therapy, due to the fact that this type of treatment utilizes substances created from living organisms in order to treat cancer. Currently, there are a few types of immunotherapies for cancer treatment available to patients. However, research into joint therapy and engineered T-cells are quickly expanding the type of cancers that can be combated with immunotherapy. Some of the types of immunotherapy that is available are cytokine therapy, monoclonal antibodies, adoptive cell transfer, vaccines as well as the development of medications that block mechanisms which suppress anticancer immunity. Currently, chemotherapy, radiation and surgery are still the most common treatment options for fighting cancer. Yet, new clinical trials are displaying great promise, with cancer immunotherapy likely to become more widespread in the near future. The increasing use of robotics during surgery is providing surgeons with the necessary guidance that is required for least invasive, precision surgery. As of 2017, less than 4 percent of U.S. surgeries employing robotics. Many industry observers expect this to quickly change. Surgery that utilizes a robotic system provides surgeons with enhanced flexibility and control during an operation. This allows surgeons to perform more delicate and complicated procedures due to the use of high-definition cameras and mechanical arms with surgical instruments attached to them. The benefits from this robotic surgery include fewer post-surgery complications, less blood loss during the procedure, reduced pain for patients, faster recovery times as well as less noticeable scars. Advances in surgical robotics mean that the technology is now used in an increasingly wide variety of procedures. For example, in Columbus, OH, surgeons at Mount Carmel Health System use the da Vinic Robotic Surgical System. The robotic technology is used on procedures for colon/rectal, gynecology, urology, thoracic as well as general surgery. In a similar fashion, at nearby OhioHealth, their hospitals also use the da Vinci Surgical System. OhioHealth also uses this new medical technology on a wide range of robotic surgery specialties. The technology is becoming so common in operating rooms that it is starting to be seen as an expected skill in a general surgeon’s repertoire. Biological drugs are now expanding the ability of healthcare practitioners to better target and treat a variety of human diseases. There are now many RNA-based therapeutics under clinical investigation for treatments ranging from genetic disorders, HIV infection to various cancers. Similar to DNA-based gene therapies, RNA-based therapies are one of the latest medical innovations. This advancement in medical technology allows physicians to directly manipulate the genetic information at a patient’s ribonucleic acid (RNA) level. In this way, doctors are able to intercept a patient’s genetic abnormality before it is translated into functioning (or nonfunctioning) proteins. In one research study, MIT biological engineers were able to regulate the expression of RNA at the cellular level. This provided them with precise control over the dose of protein that a patient receives during a treatment. RNA-based gene therapies will allow medical providers to more accurately tailor treatments for individual patients. Doctors will have a direct method for quickly turning on, or off, human genes. The hope is that this technology could be used to treat genetic diseases such as Huntington’s disease, cancer and other neurologic disorders. To see the complete list of top 10 medical innovations for 2019 from the Cleveland Clinic, click here.